Animal Liability Insurance – Is It For You? 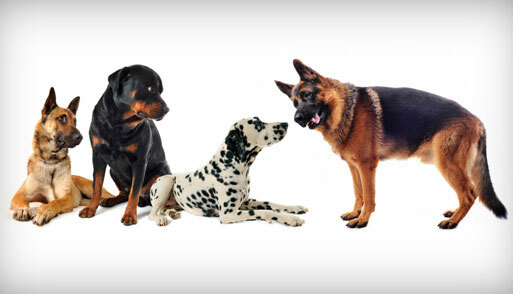 Home > Animal Liability Insurance > Animal Liability Insurance – Is It For You? It’s been said that dogs are man’s best friend. To a dog owner, that statement is usually true. Dogs are loyal, protective and loving. They want nothing more in return than a warm bed, a full food bowl, and plenty of love and attention. When you have that type of relationship with your dog, it’s probably hard for you to even fathom the idea that maybe, just maybe, your dear canine friend could ever bite someone. The sad fact is that even though you consider your dog a part of your family, he is still an animal with animal instincts, and yes, he very well may bite someone. Sometimes dogs bite because they are provoked. For example, if he sees his owner being attacked by someone and his protective instinct kicks in, it’s a good bet that the attacker is going to get bitten. Unfortunately, there are many dog bites that occur without the victim ever being able to pinpoint what provoked the attack. The numbers related to dog bites are almost staggering. Each year there are approximately 350,000 people treated for dog bites in the United States. Now, can you imagine the cost of that treatment? Who is liable for that cost? The answer to that is simple. Whether the bite is provoked or unprovoked, normally it is you, the animal owner, who is responsible for paying the cost of treatment for a dog bite victim. With treatment cost ranging from several hundred to several thousand dollars and sometimes more, you could become entangled in quite the financial mess. This is when it helps to have animal liability insurance. Animal liability insurance is insurance that helps to cover the cost of animal related accidents as well as property damage caused by an animal. Here at XINSURANCE, we offer policies designed to fit your needs. Our program covers dogs that others won’t, including those who have a history of biting and those considered to be dangerous dogs. Remember, being a responsible pet owner is more than just giving your dog the necessities of life. It is preparing yourself for the possibilities of the future. One good way to do this is to have the coverage provided by an animal liability insurance policy.